March 9, 2018, 11 a.m.
By Shan Wang @shansquared March 9, 2018, 11 a.m.
Xi Jinping and Winnie the Pooh; the letter “n,” and Pu Yi, too. A hodgepodge of text and images have been deleted by Chinese censors as thousands of delegates gather in Beijing for the National People’s Congress this month to officially vote to abolish the two-term limit for Chinese presidents, paving the way for Xi Jinping to remain in power beyond 2023, and potentially for life. The reasoning behind censoring posts ranges from obvious to absurd to convoluted. Pooh memes, because the cartoon bear’s figure, when viewed alongside the trimmer Tigger, resembles a photograph taken of Chinese president Xi Jinping and Barack Obama in California in 2013 (judge for yourself here). Images of Pu Yi, China’s last emperor, with a caption referencing the return of the Qing dynasty, for its ridicule of consolidation of power. The letter “n,” maybe because n = number of terms, and n > 2. 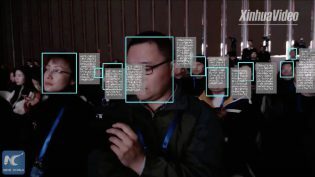 Fu has seen enough aggregate data to recognize paths of censorship and the ways netizens — the term of choice in English-language reporting on Chinese internet users — try to circumvent censors or cloak their dissent. A Weibo user with a tiny number of followers may find they’re able to post about topics in relative freedom, but as they gain followers (粉丝, or “fans”), they may find they reach critical mass and trigger notice. Some terms are on a filter list, so users are blocked from posting them to a platform like Weibo in the first place, but a term may not always be continuously censored. These past weeks, with the looming constitutional change, have been a sensitive period of time. Images and symbols have long been a popular way to skirt censors as they pass and get tweaked from user to user; they require some human intervention to recognize. 2012, within the first couple of years of Weiboscope, Fu said, felt like a turning point. 2012 was the year Chen Guangcheng, a blind, dissident lawyer, managed to escape Beijing for the U.S. It was the year a prominent party chief in western China, Bo Xilai, and his wife became embroiled in a scandal involving the murder of a British businessman, and fell from power. Online, Chinese people used codewords like “tomato” (西红柿, whose first two characters mean “West” and “red” individually) to refer to Bo Xilai, since the name “薄熙来” (Bo Xilai) was easily blocked. “Looking back, that I think was one of the pivotal years, when the government began to use a larger-scale censorship system to try to silence the public response to these kinds of public issues,” Fu said. “People have been able to use these ways to extend survival time of discussions online. But in terms of the government, over the past few years, strategies have become increasingly more sophisticated, and a lot of new measures have been introduced by the government and by service providers, from filtering keywords to more groups of human censors. Fu and his team have found increasingly technological restrictions on their own Weiboscope work. Sina, Weibo’s parent company, has made its API much less open in the past five years. The HKU team is now building out a similar tool for WeChat, China’s ubiquitous messaging platform that now services a huge range of commercial and social activities. (Disclosure: Nieman Lab has a content partnership with Tencent, WeChat’s parent company.) WeChatscope can’t monitor user-to-user messages, but will track public accounts and their posts for any content that gets deleted, starting with a few hundred public accounts and gradually scaling up. The team has hacked together a solution to scrape the app for published posts; the WeChatscope tool then follows up in intervals to see if any posts have been removed. 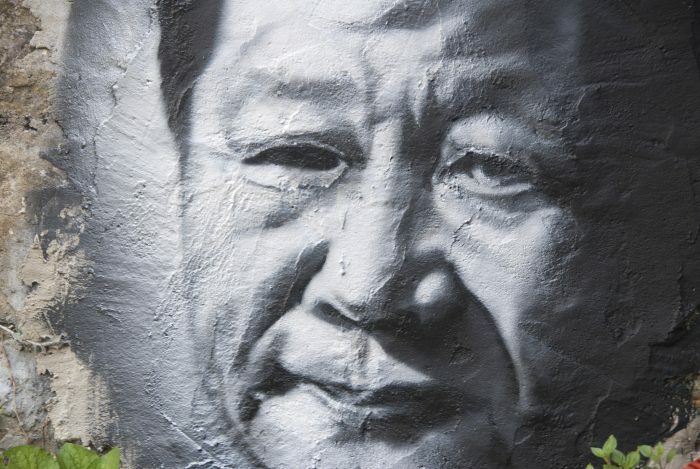 Xi Jinping, photo by thierry ehrmann, used under a Creative Commons license. POSTED March 9, 2018, 11 a.m.
Wang, Shan. "What do Xi Jinping and Winnie the Pooh have in common? They’re both flagged by Chinese censors." Nieman Journalism Lab. Nieman Foundation for Journalism at Harvard, 9 Mar. 2018. Web. 20 Apr. 2019. Wang, Shan. "What do Xi Jinping and Winnie the Pooh have in common? They’re both flagged by Chinese censors." Nieman Journalism Lab. Last modified March 9, 2018. Accessed April 20, 2019. https://www.niemanlab.org/2018/03/what-do-xi-jinping-and-winnie-the-pooh-have-in-common-theyre-both-flagged-by-chinese-censors/.